Zhuhai, China and Waldwick, NJ, USA/October 23, 2018 — Apollo 15 Command Module Pilot, Col. Al Worden, USAF-Ret., will make his first visit to China next month as a goodwill ambassador for the U.S. aerospace industry, particularly American companies participating in Airshow China 2018 in Zhuhai, November 6-11. National pavilions are an invitation to global cooperation. Dubai, United Arab Emirates/January 30, 2017 — Score another international fan of Noor Shamma’s Postcard Initiative; 270 fans actually. 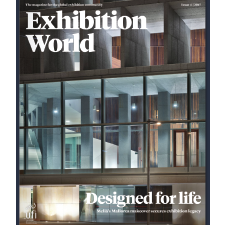 The self-described UAE “Artrepreneur’s” two-year-old art project to raise money for the Noor Dubai Foundation’s fight against visual impairment was the catalyst for a $5,000 gift to the foundation today from exhibitors in the U.S. International Pavilion at Arab Health 2017. 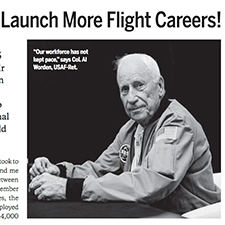 Encore: STEM to Space, by Col. Al Worden, USAF-Ret. Flag carried to the moon on board Apollo 14 months before UAE's independence. 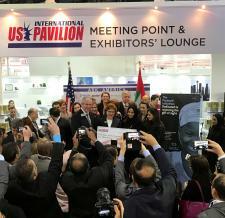 The Dubai Airshow's US International Pavilion has presented the UAE Space Agency with a flag that was carried to the moon in 1971 - just months before the UAE's independence.